The idea of Smart Cities is steadily increasing in popularity; now there is a burgeoning movement to create Smart Villages, and the University of Arizona (UA) is encouraging researchers to address this grand challenge. Forty-seven percent of the world’s population and 70 percent of the world’s poor live in rural villages, more than a billion of whom lack access to electricity. 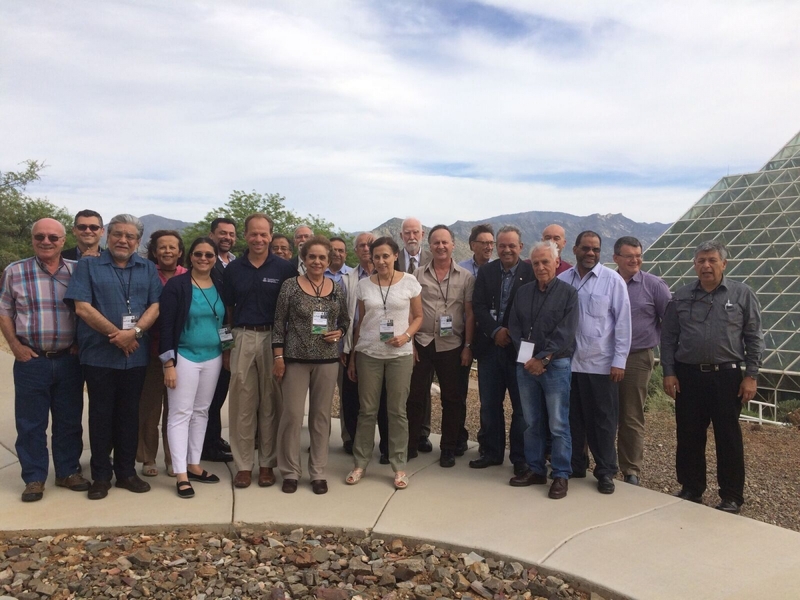 This spring, leading scientists from more than a dozen countries gathered at Biosphere 2 to discuss the latest sustainable energy solutions for low-income and rural populations worldwide. 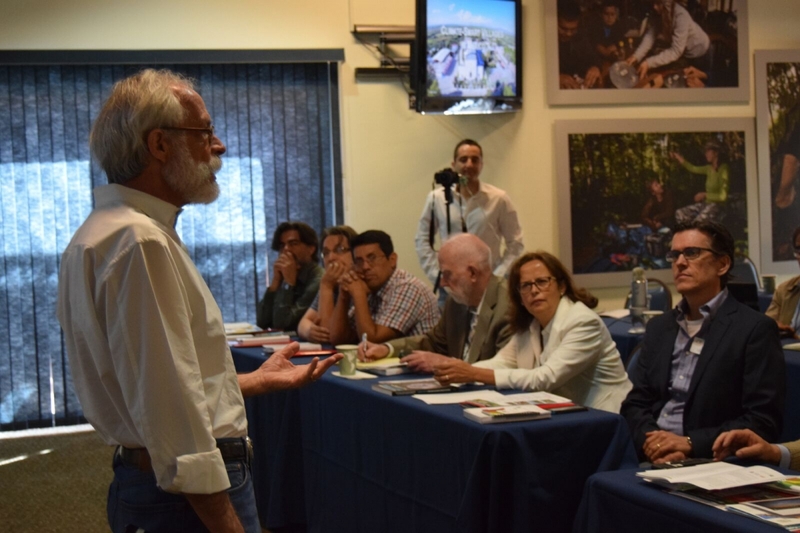 Conceptualized by Dr. Claudio A. Estrada, director of the Tucson branch of the National Autonomous University of Mexico (UNAM-Tucson) and researcher at the Renewable Energy Institute of UNAM, the 2017 Smart Villages Symposium brought together members of the Inter-American Network of Academies of Sciences (IANAS), the UA Office of Global Initiatives, the UA College of Science, and the Smart Villages Initiative. “As a co-chair of the IANAS energy program, I needed to organize a working meeting. Our work plan included a discussion on Smart Villages, and given the UA’s interest in the topic, I came up with the idea to hold a symposium open to the UA community and the general public where experts could share their experiences,” said Estrada. Access to electricity is the core of the Smart Villages Initiative, supporting the notion that affordable, reliable, and sustainable energy will give way to a wider range of development goals— specifically better education and health care, as well as clean water and proper sanitation. Dr. Jones said he was guided by a moral imperative to participate in the movement. Members of IANAS, which represents 20 academies of sciences in the Western Hemisphere, agreed the time is ripe to empower rural villagers across the Americas, and sustainable energy is crucial to achieving this goal. IANAS scholars delivered the status of their energy program, which focuses on five priority areas: energy efficiency, energy for unserved populations, renewable energy, bioenergy, and capacity building. Members gleaned knowledge to update the collective IANAS publication, “Guide Towards a Sustainable Energy Future for the Americas,” and maintained that meeting the basic energy needs of the poorest people in the world is a moral and social imperative that must be pursued. “Because renewable energies are everywhere with different intensities and availabilities, one of the first actions we must take to have energy security in a community is the identification of these renewable sources and the technologies available for their use,” explained Estrada. Among the most valuable takeaways of the symposium was the sentiment that scientists must work with villagers on their terms to create realistic outcomes to developments issues. Dr. Joaquin Ruiz, dean of the UA College of Science, suggested making the Smart Villages symposium an annual event, and involving social scientists in the future to gauge public acceptance of certain ideas.